China Tours, China Travel Deals, Yangtze River Cruises & China Golf Tours from LetsDoChina.com - the experienced China Tour Operator for China & Hong Kong Tour Packages. Whilst our published holiday packages cover much of China's must-see destinations, if there's something exclusive you'd like to see or do, we'll gladly tailor a solution that meets your needs. If you're on a budget and want to save on the cost of a private tour package, our China Travel Deals may be just the thing for you. LetsdoChina.com's group tours in China are a fun way to make new friends and meet interesting people as you see the sites and travel the countryside. For an entirely different perspective of China, have you ever considered cruising the mighty Yangtze River? Our Yangtze River Cruises can be added to any of our destinations and you'll cruise through some of the country's most secluded and scenic regions. If a golfing getaway is more your style, our China Golf Tours will take you to some of the largest and most prestigious golf resorts in the world. When you stay & play at Mission Hills Shenzhen or Mission Hills Haikou, you'll quickly understand how they've made it into the Guiness Book of World Records. No matter what part of China you decide to visit, you'll be impressed by LetsdoChina.com's attention to detail and superior service. Our multi-lingual tour guides and transport teams are nationally-accredited and expertly trained, so you’re in safe hands when you travel with us. 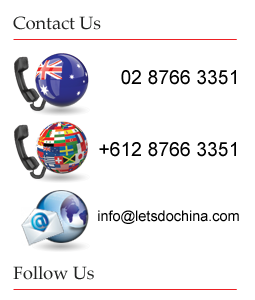 At LetsdoChina.com, we go that 'extra mile' and provide you with outstanding value and a wonderful holiday experience. Once you’ve had your first taste of the Orient, we’re quietly confident you’ll be keen to return and explore more of this vast and intriguing region. 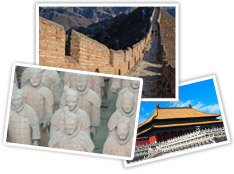 If quality and reliability are important to you, give serious consideration to booking with LetsdoChina.com. Discovered a tour that captures your imagination? Is there a tour that you'd like to add to, or change a little? 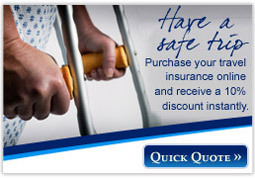 If so, your first step is to send us an enquiry. Look for the Enquire Now button that appears on every tour and special interest page to securely send us a summary of your travel requirements and contact details. 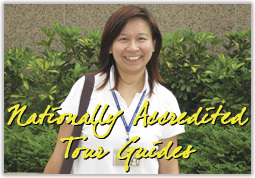 This information helps us to develop a meaningful itinerary that includes everything you'd like to see and do. Once you are satisfied with your travel arrangements, we can proceed with your booking. Further information can be found on the How to Make a Booking page. "Thank you so much Alice for making our 'dip the toe in' trip to China so memmorable - we had a fabulous time and we hope you enjoy the flowers"
"We had an amazing time in Hong Kong. Thank you so much for arranging such a hassle-free tour. The guide in Hong Kong met us at the airport with all the relevant tickets and information and we were on our way to a fantastic holiday. Thank you once again and I will certainly be recommending your company to others." "A heart-felt thank you for all of the hard work organising our trip to China and beyond. The memories of horse riding in Mongolia, climbing the Great Wall and sailing the Yangtze River are just a few of many highlights ... superb service"
"Marianne and I loved our vacation in China and what we have seen has exceeded our expectations. We were very happy with the planning of our itinerary - you did an excellent job and provided outstanding organization. The guides were extraordinary, informative, punctual and very caring. We also found the drivers to be exceptionally well trained and focused on safety. Your service is legendary." "We'd like to express our deepest appreciation for everything that you did to organize such a wonderful holiday. Beijing was certainly a drawcard for us and climbing the Great Wall was truly awesome. Xi'an was good too, but in hindsight we probably needed a little more time to do it justice. It was an experience that I don’t believe any of us will forget for a long time. We can’t thank you enough and we will be certainly recommending LetsdoChina.com to any of our friends who are considering a trip to China." Most questions can be answered by browsing through our Frequently Asked Questions section. However, if you don't find the answer you are looking for, our friendly staff are available to answer your questions or help you to create a tailor-made package for that unforgettable China experience. Have you ever considered holding an event in China? Our experienced team manage small numbers right through to groups of over 1000 people!